21 March 2018, Moscow. 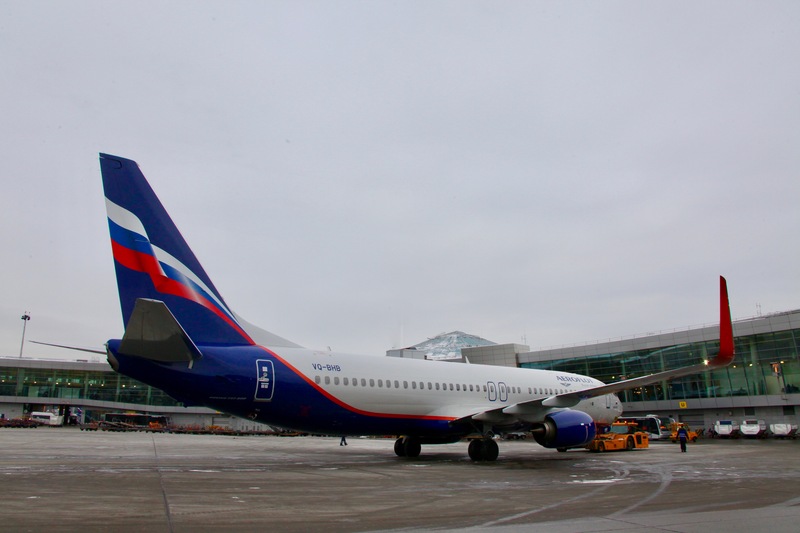 — Aeroflot has taken delivery of two brand new Boeing 737-800 aircraft. Boeing 737-800 (VP-BFB) is named after Mikhail Balakirev, an outstanding Russian composer of the last quarter of the XIXth- early XXth centuries. Boeing 737-800 (VQ-BHB) bears the name of Nikolay Nekrasov, the great Russian poet of the XIXth century. Aeroflot’s Boeing 737-800 aircraft are equipped with aerodynamic wing-tips known as Sharklets. The airliner has two-class composition with 20 seats in business class and 138 seats in economy class. The Business class salon is equipped with monitors for viewing media content. Boeing 737 is one of the world’s most popular single-aisle jet airliners providing high level of comfort on medium-haul routes. Aeroflot is Russia’s flagship carrier and a proud member of the SkyTeam global airline alliance. Aeroflot and its partners serve 1,074 destinations in 177 countries worldwide. In 2017, Aeroflot carried 32.8 million passengers (50.1 million passengers as Aeroflot Group including subsidiaries). Aeroflot became the first Russian airline to be awarded Four Star Airline status by Skytrax in recognition of the high-quality of its customer service. In 2017, Aeroflot was named Best Airline in Eastern Europe for the sixth time at the Skytrax World Airline Awards. In 2017, Aeroflot was named the most powerful brand in Russia and the world’s strongest airline brand by leading valuation and strategy consultancy Brand Finance. Aeroflot was also named Best Major Airline in Europe by TripAdvisor travellers and recognised as the Favourite International Airline in China at the Flyer Award Ceremony 2017. Aeroflot operates one of the youngest fleets in the world with 230 aircraft. Aeroflot is based in Moscow, at Sheremetyevo International Airport. Aeroflot is among the global leaders in aviation safety, with a European Community Safety Assessment of Foreign Aircraft (SAFA) Index, the main globally recognized safety parameter, comparable to global peers. The first Russian carrier to enter the IATA Operational Safety Audit (IOSA) register, renewing its registration for the seventh time in 2017, Aeroflot has successfully passed the IATA Safety Audit for Ground Operations (ISAGO) and is fully ISO 9001:2015, ISO 14001:2004 compliant. Exploring Jaipur with Jet Airways !